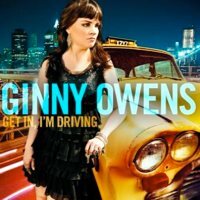 Today I’ll show you some behind-the-scenes for the title track from Ginny Owens’ upcoming album, Get In I’m Driving, which I produced along with Ginny and Monroe Jones. Like the previous post in this series (featuring a look at how Before You Fly came together), I’ll give you a glimpse at the process of how this song came about. 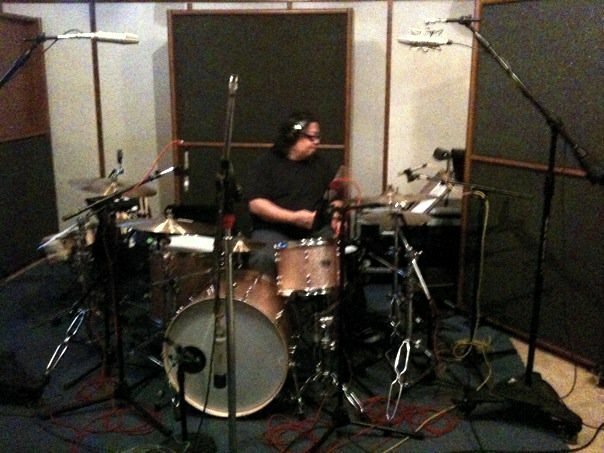 The live session for this song took place on February 25, 2010 at Stagg Street Studios in Van Nuys, CA. Similar to Before You Fly, we tracked drums, bass, and guitar together, with Ginny playing and singing at a piano in an iso booth. This gave us the flexibility to capture the feel of a live band playing with each other, yet each instrument was recorded in isolation, giving us the flexibility to use or manipulate each instrument later as necessary. Stagg Street is a wonderful facility with a medium-sized control room, a large central tracking room (where we set up drums), and three smaller isolated rooms (where we set up upright bass, piano, and guitar amps, respectively). 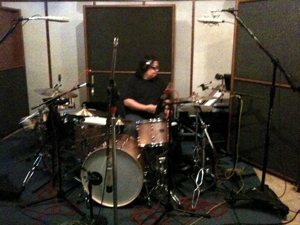 The drummer for this session was one of the busiest session and live drummers in Los Angeles, Curt Bisquera. 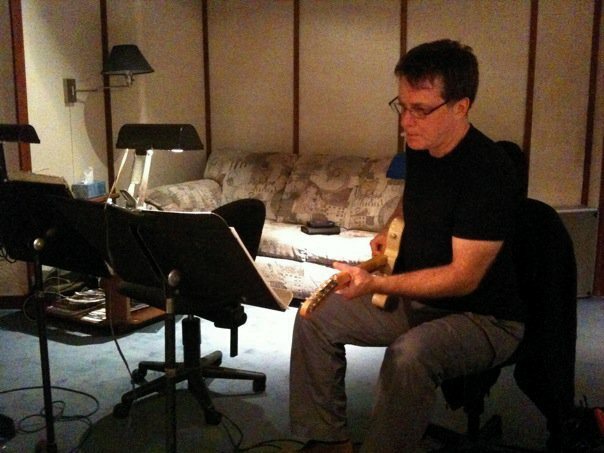 Curt has played with an endless list of music’s royalty, including Elton John, Bonnie Raitt, Mick Jagger, Celine Dion, Josh Groban, Joni Mitchell, Sarah McLachlan, Johnny Cash, and more. On bass was a frequent musical partner of mine, Dan Lutz (Jonathan Butler, Taylor Hicks), and on guitar was James Harrah (Madonna, Melissa Etheridge, Herbie Hancock, Ray Charles). The album as a whole had a long gestation period of almost two years, and in those two years we underwent a significant shift in the sound that we were going for, as we discovered, often through experimentation, what approach fit each song best. The evolution of this particular song is a perfect and most extreme illustration; in the end, none of the recordings we did during the original live session made it to the final version. But here’s a look at the process that we went through to get to the final version. It’s unusual for songs to go through this many changes and re-recordings, but as I said before, the evolution of this album was a journey for all of us, and incredibly inspiring to be a part of. If you enjoyed this article, be sure to check out a similar behind-the-scenes look at Before You Fly. Keep an eye out for the full album (see it at Amazon), which will hit streets on September 13, 2011.